The first half of the first lesson consists of a 30 minute talk on Tai Chi. ​This talk covers the principles of Tai Chi and how these principles when followed creates the movement that we recognize as the Tai Chi form. The purpose for this talk is so that people don't just, copy or mimic the movements of Tai Chi from the instructor or from the person next to them. I have found that when people understand the process and application of these principles they receive the full enjoyment and health benefits of Tai Chi. I will be demonstrating how joint and postural alignment if correct will prevent and help current joint injuries, such joints as knees, hips, shoulders and spine. I will be also explaining and demonstrating in a practical ways how you can apply this way of movement to everyday life. Such as moving up and down stairs, how to turn without using your waist so your back is never twisted. Also in the 30 minute talk I will cover the importance of awareness and how one has to first become aware before relaxation can be achieved. Without awareness relaxation is impossible and without relaxation we can't move efficiently. I will also cover the breathing methods that are used in Tai Chi to create relaxation and how these breathing techniques help in allowing you to make full use of your lung capacity. The second half of the first lesson I will be getting everyone up to give Tai Chi a try. 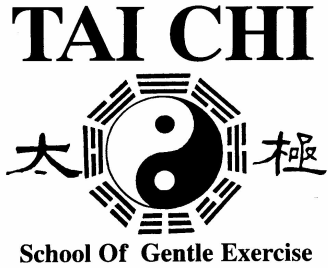 At the end of the first lesson I will be happy to answer any questions you might have about Tai Chi or the course.